A freshly installed carpet may bring with it a strong odor, due to numerous chemicals used in the manufacturing process. Some carpet-backing materials, adhesives and pads contain volatile chemicals that "off gas" or turn into fumes when exposed to air. These chemicals, considered volatile organic compounds or VOCs, contribute to asthma and allergy-like symptoms such as respiratory issues for those with sensitivities. 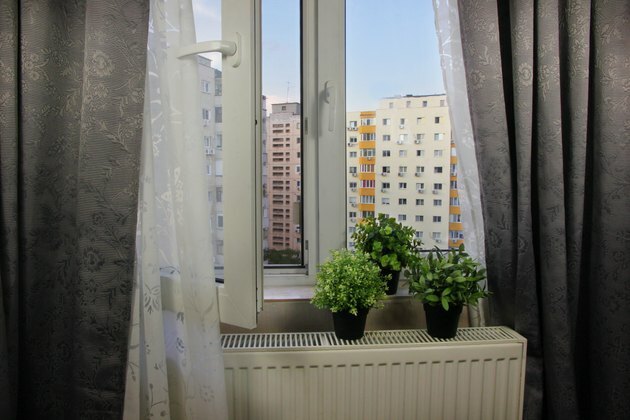 While these chemicals eventually dissipate on their own, speed up the process with fresh air and natural odor removers to keep your home's air as clean as possible. Open all the windows in the room in which the new carpet was installed, as well as the windows in adjacent rooms. Turn on all ceiling fans in the carpeted room and nearby areas. Place box fans in the windows of the carpeted room, positioned to draw air out of the space. Plug them in and turn them on for one day up to several days. 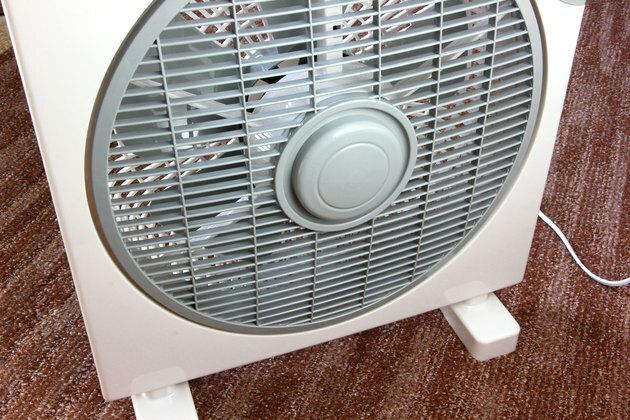 A box fan in an adjacent room, drawing in fresh air, helps freshen the air in the home during this process. 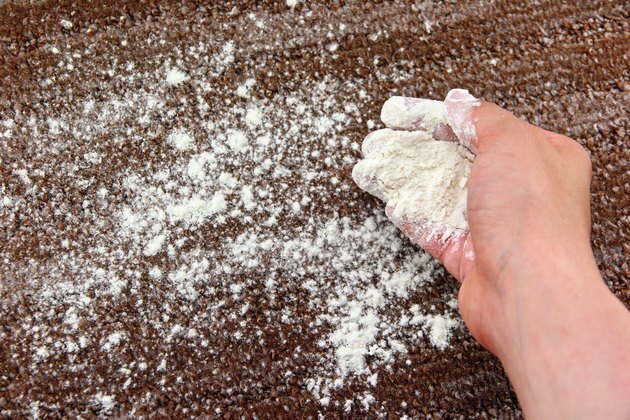 Sprinkle baking soda over the carpet at least once a week, allowing it to sit for 30 minutes or longer. The baking soda helps absorb new-carpet odors that linger. It may take months for all of the chemical odors to dissipate completely. 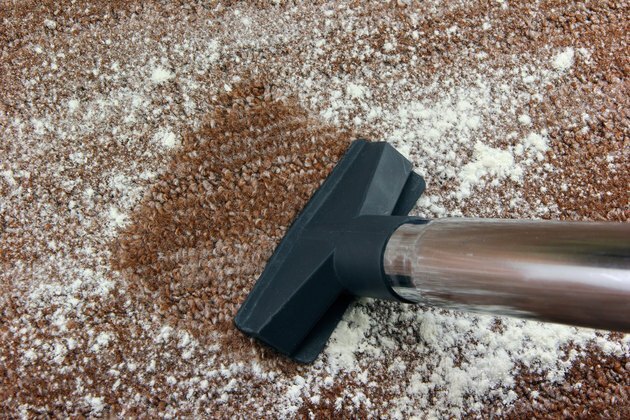 Remove the baking soda with a vacuum cleaner, using a vacuum setting appropriate for the height of the carpet fibers. Use a vacuum cleaner with a HEPA filter, if possible, to help keep the odors from filtering back out into the air. 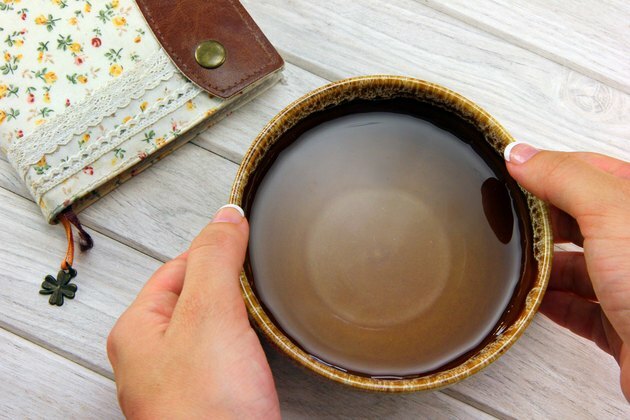 Place bowls of vinegar in the room when the carpet chemical odors smell strong. Leave the bowls overnight to help remove the unpleasant smells, keeping the bowls out of the reach of pets and small children.